If you have any questions or want to enquire about dates, use our form to contact Georgina & Michael Curnow or see their website for more information. As lovely a place to stay on the moors as you could hope for. You wind your way in – up dale, down hill – with a carpet of purple heather in late summer and a golden fleece of bracken in autumn. As for this attractive house, it sits on the edge of a pretty village, with fine views of Esk Dale from the garden terrace. Inside, airy interiors are stylish and comfortable, the perfect tonic after a day in the hills. Downstairs, there’s a sitting room with garden views, then a dining room for Michael’s delicious breakfasts – Whitby kippers, Glaisdale bacon, smoothies from garden strawberries. In summer, you decant onto the terrace for birdsong with your bacon and eggs. Stylish rooms have warm colours, comfy beds, white cotton, perhaps a sofa or doors onto the terrace. All have fine bathrooms, one with a free-standing bath. By day you explore the moors, spin over to Whitby or try a leg of the coast-to-coast path, which passes outside. At night you follow the river into the village for dinner at one of its pubs. You couldn’t be in better hands – Michael and Georgina look after you in style. Pure bliss. Christmas, New Year, 1 November - 1 March. Two good pubs in village. Have you visited Broom House at Egton Bridge? Be the first to leave a review. 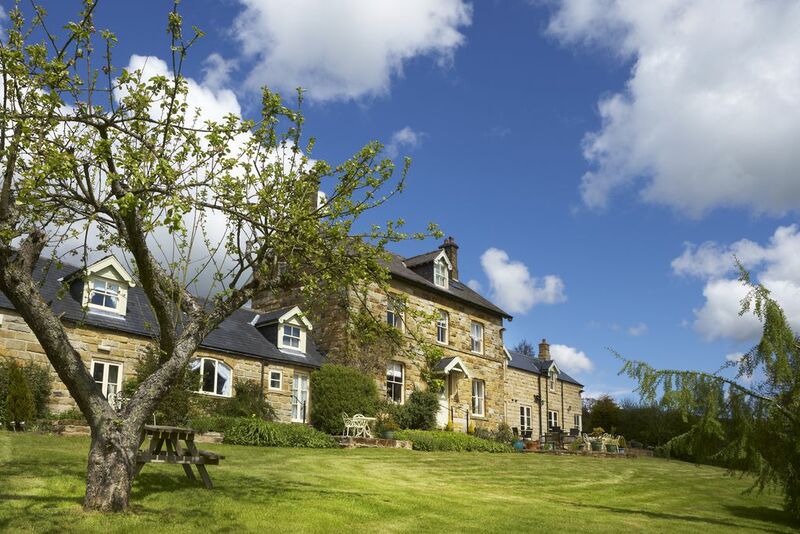 Deep in the heart of the North York Moors, relax and unwind in our tranquil country garden indulging in the sounds of birdsong and the River Esk. Perhaps even the occasional steam train passing the perimeter of the grounds. Ideal for walkers, cyclists or bird watchers. Or even try your hand at fishing in the principal salmon and sea trout river of Yorkshire, just a stones throw away from Broom House. Explore the famous fishing towns of Whitby, Robin Hood's Bay and Staithes or perhaps drive a short distance across the moors to the beautiful market town of Pickering. During the colder months retreat to the guest drawing room and snuggle up in front of the open fire with your favourite novel. Catch the North York Moors Railway steam train at Grosmont, just one stop from Egton Station and enjoy the wonderful journey through the National Park. Visit Castle Howard, Yorkshire's finest historic house and gardens, a magnificent 18th century residence set within 1,000 acres in the Howardian Hills.